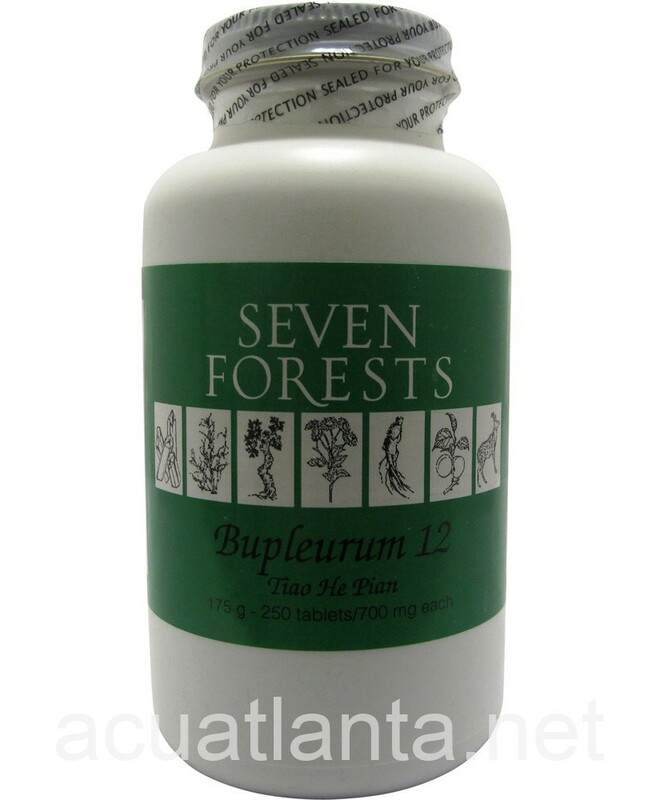 Bupleurum 12, also known as Tiao He Pian, mediates harmony, and disperses Qi and moisture. 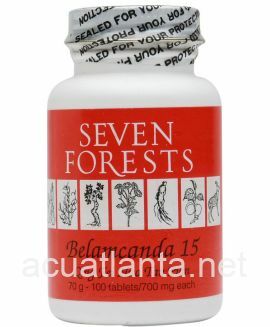 Bupleurum 12 is recommended for people with occasional anxiety, depression, digestive upset, and emotional stress. 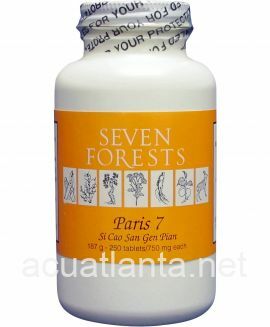 Bupleurum 12 by Seven Forests is the principal harmonizing formula provided in Seven Forests products. It represents a merging of three ancient formulas that are widely used today: Bupleurum & Cinnamon Combination (Chaihu guizhi Tang, a derivative of Xiao Chaihu Tang), Bupleurum and Tang Kuei Formula (Ziao Yao San), and Bupleurum and Chih-shih Formula (Sini San). 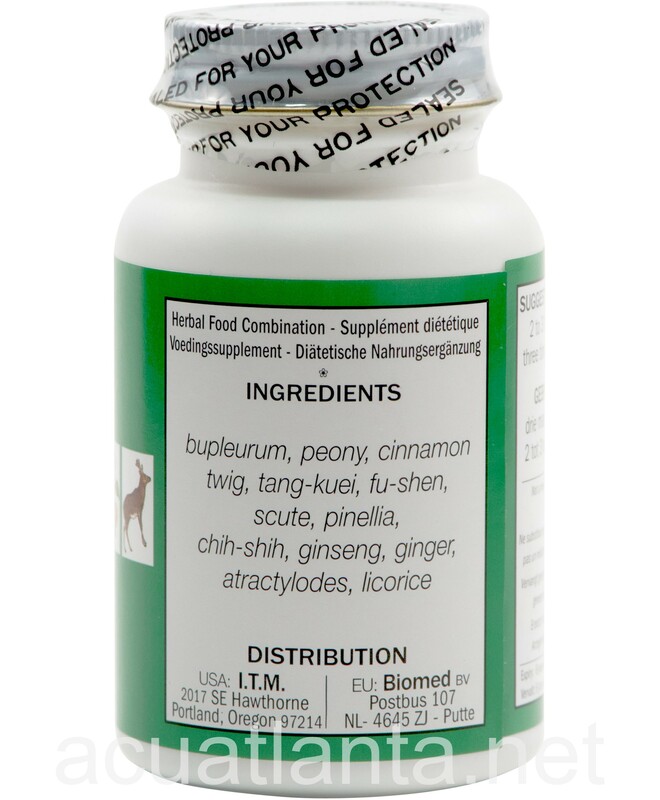 Bupleurum 12 can be used as the basis for any harmonizing therapy, and it combines well with many other formulas, though the most common formulas to mix with it are those with overlapping activities: dispersing qi stagnation, improving the function of the stomach and spleen, resolving accumulation of moisture and phlegm, and alleviating stress. The general syndrome addressed by this formula is one in which the liver is causing agitation, stomach distress, and tension or congestion of the areas affected by the liver meridian. Cinnamon twig with peony opens the meridians peony with licorice relaxes tension bupleurum with chih-shih disperses the congested liver qi and supports normal gallbladder function tang kuei with peony nourishes and relaxes the liver, ginseng with licorice invigorates the spleen and reinforces the stomach pinellia with atractylodes supports normal stomach function and addresses accumulation of moisture and phlegm scute with fu shen calms agitated spirit. 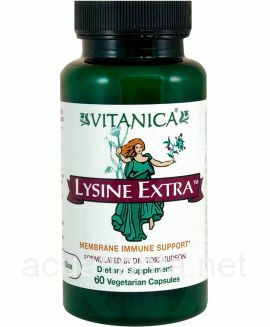 The pairings of herbs in this formula are numerous and the resulting effects are easily applied with great versatility. Bupleurum 12 product is available only from licensed healthcare professionals. 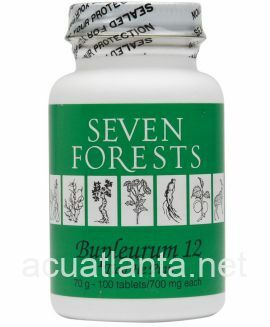 Buy Bupleurum 12 Online here at AcuAtlanta.net or our clinic. I use this after being prescribed by my accupuncturist. It helps with stress and general well being. 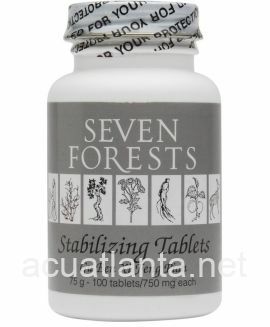 The products from Acupuncture Atlanta always arrive quickly and well packed. I ordered Bupleurum 12. This is one great product....I ran out once and my stomach let me know what a huge mistake that was. Bup 12 is a real stomach soother and keeps things moving, if you catch my drift. I will never be without this supplement again. Try it. You will like it. 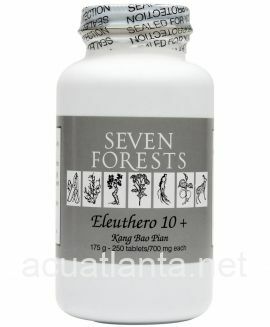 It is a Chinese herbal product and is very pleasant to the taste. My naturopath referred me to it, by the way. I take three pills before each meal and it sets my digestive system in order. I can tell the difference when I take this. It is fairly dramatic. I go from teary and depressed to calm, stable and able to deal with life. Bupleurum has helped me feel healthier and more balanced. It helps with bloated feeling related to PMS. I have been taking the Bupleurum 12 regularly for over 2 years with much success. 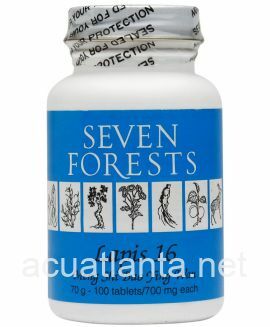 Before taking these herbs I was suffering from digestive upset, anxiety, and some depression. My acupuncturist highly recommended them to me originally, and the Bupleurum 12 has made a very positive change in my life. Customer who purchased Bupleurum 12 250 tablets online also bought the following products which may be of interest to you.